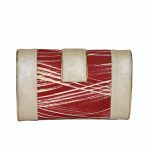 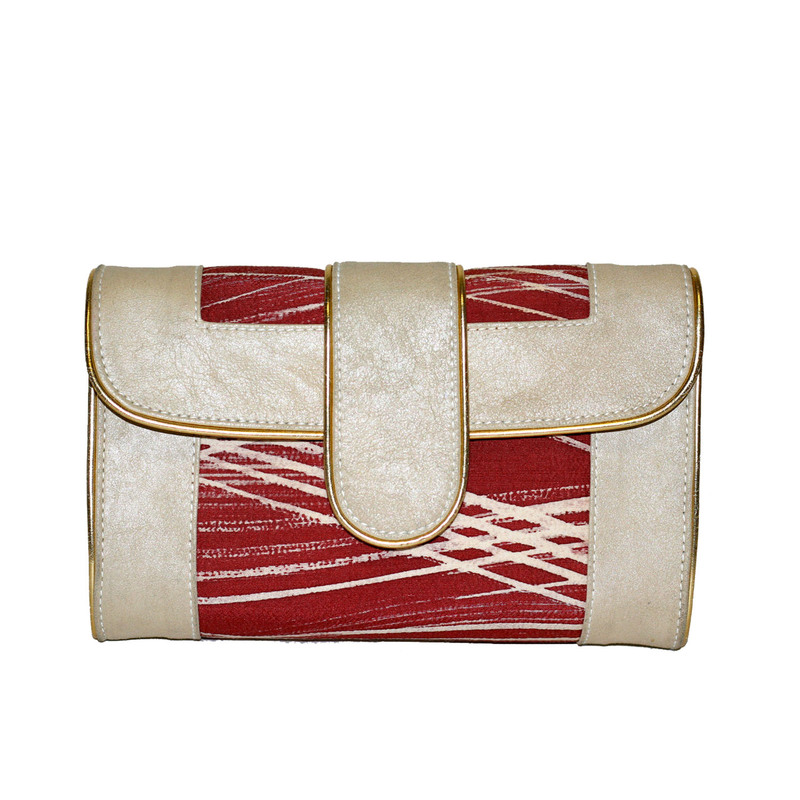 Beige leather and paint stroke kimono print clutch. Measurements: 8″ Length, 4.5″ High, 2.5″ Depth, chain 25″ at longest. 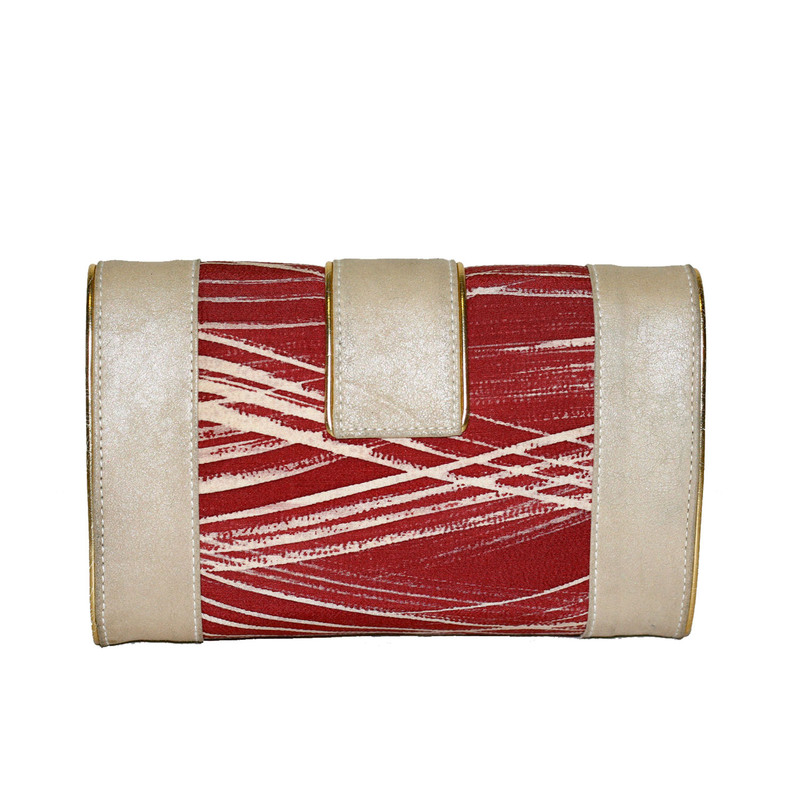 Handcrafted off white leather clutch with gold piping featuring an authentic paint stroke vintage kimono print. 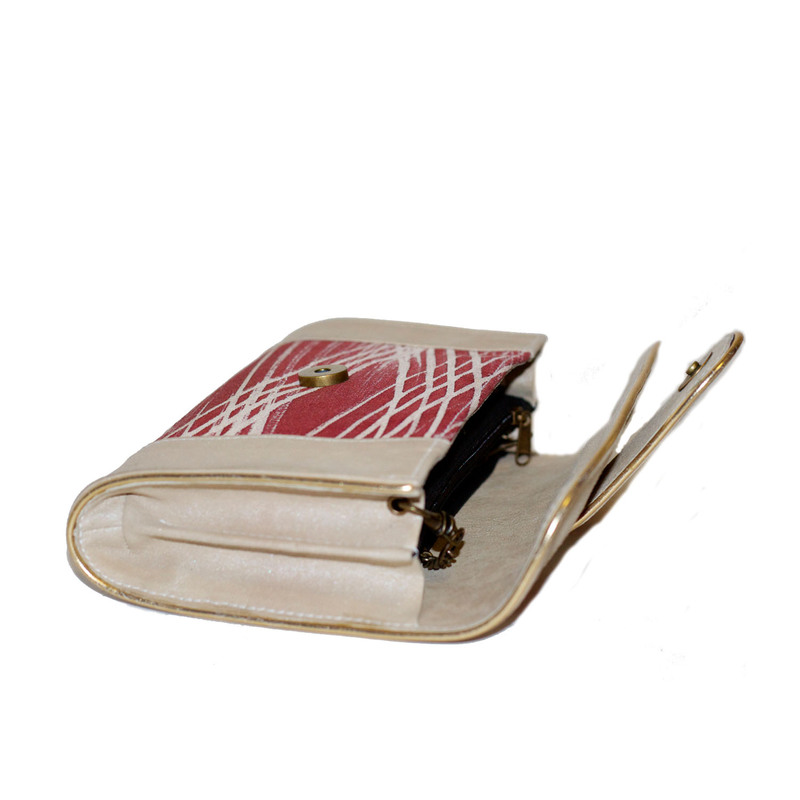 The interior has a zip pocket with two bill folds and a hemp/cotton lining with six slots for credit cards. 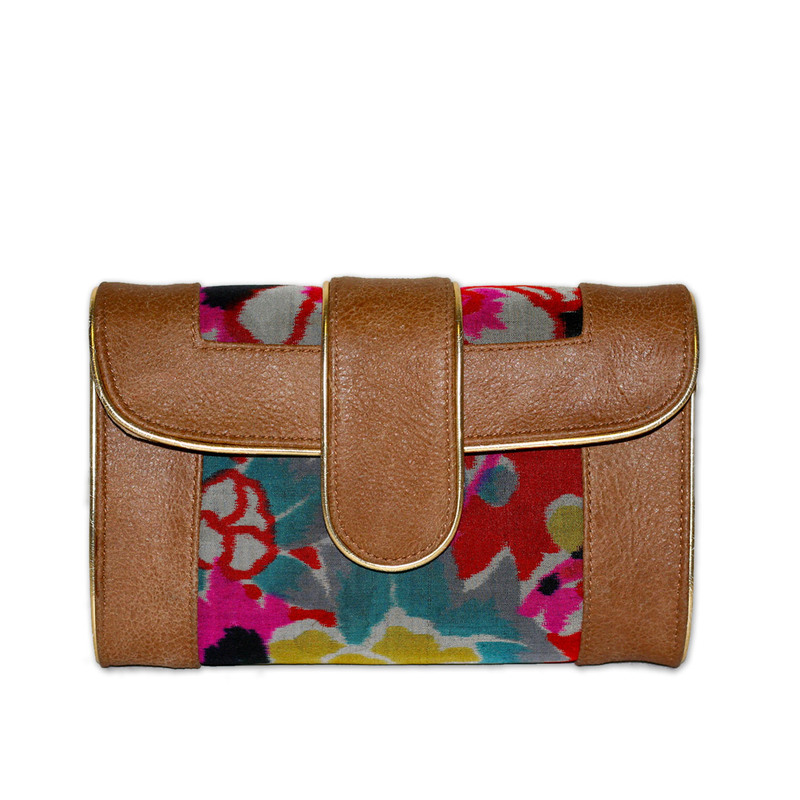 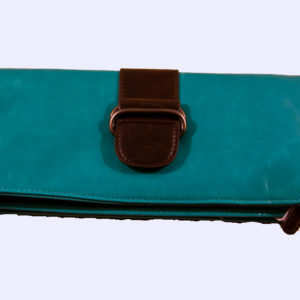 This mini clutch/crossbody also has a snap closure and detachable chain strap with a comfort grip at the top. 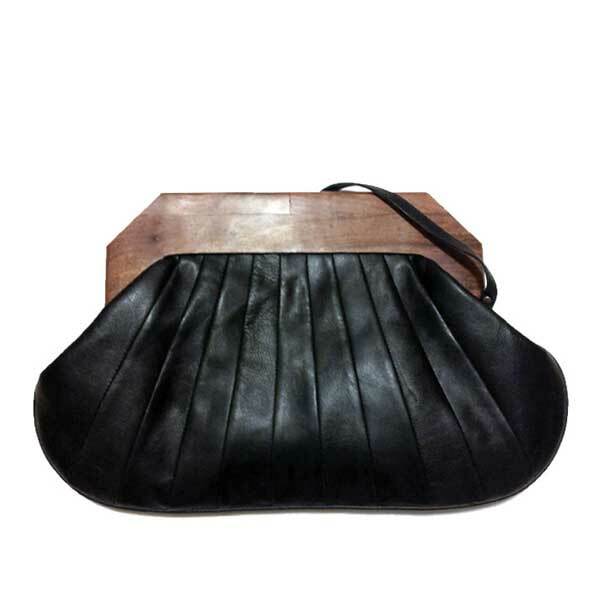 Comes with a dust bag for protection.